We missed Alan when he returned home with his family. 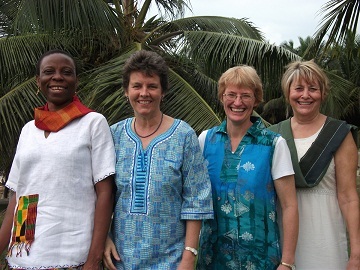 But Patience Ahmed returned from MA counseling studies in the US to serve as a counselor and joined Sherri (capable administrator), Karen (clinical director) and Marion (regional coordinator) on the West Africa team. Darlene was part of the MMCT community, but served as International Coordinator. Together, we were known as “The MMCT Ladies”!